December is finally here, which means less than a month for Christmas. And yet here we are having maybe the warmest winter I can ever remember. I am so jealous of all the other European countries where it's snowing, I want the same here aaaaargh! Oh well, since there is nothing I can do about that, how about some nail swatches of the lovely GOSH Holographic nail polish. 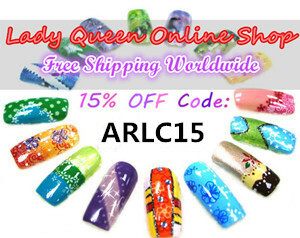 I have been reading about this polish for quite some time, yet it was impossible to find at a reasonable price. So when I found a good deal at ebay I didn't think twice. Last week this pretty polish arrived so here are some swatches. As I wanted to see it in it's full glory I didn't use any base or top coat, just two coats of the polish. 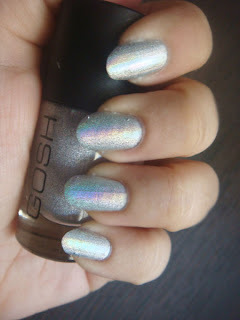 I have to say GOSH holographic really lived up to my expectations. It is a super shiny holographic polish, it looked perfect with two coats and for the four days I was wearing it, it lasted great. Plus it looks even better when I doodle on it. That's definitely a plus! This is so cute! I love the little doodles. 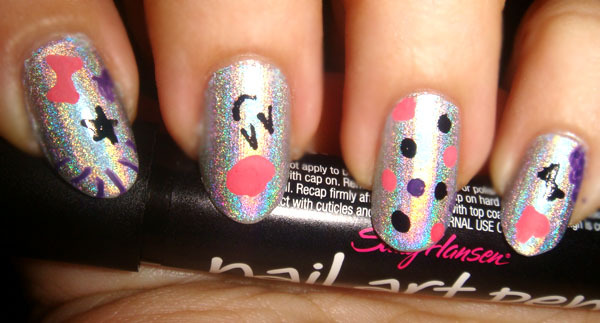 :) And how lucky you were to get this polish!! Can you tell me what was the name of the seller on Ebay because I'm very interested in it too!! Yay for finding it at a reasonable price! 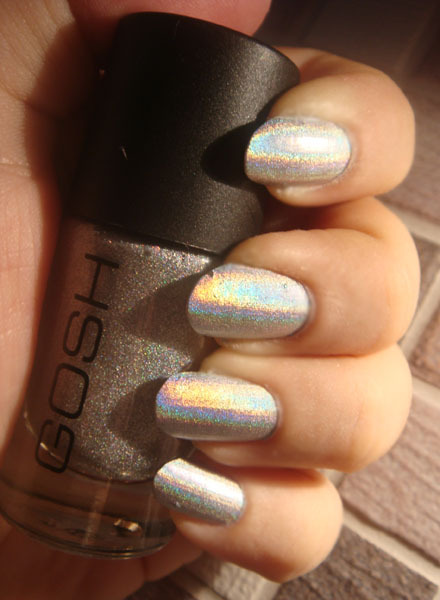 This is one of my favorite polishes. @Rachel Marie thank you :D I was looking for it for so long. I couldn't believe it when I found it in the end. 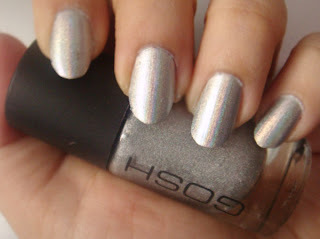 @KarenD I don't blame you, it has to be one of the most shiny polishes out there. 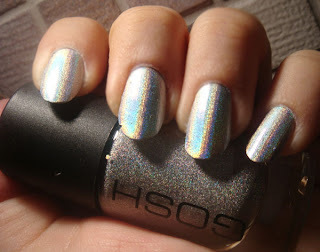 I am really amazed at the holo quality! @Jackie S. it is fantastic! Gorgeous! I am going to hunt this one ^-^.